One of the YouTube channels I subscribe to is the Whisky Wednesday channel which each Wednesday (following so far)? releases a short video reviewing a whisky. Last night was the turn of the Glen Scotia 25 Year Old which I have also previously reviewed. You should definitely give the video a watch and subscribe to his channel. Where ralfy, for example, has long 30-minute video’s which come in two parts. The first part is a review and then the second a discussion on a whisky related topic all done in a single take. Phils’ channel is short sub 5-minute video’s expertly shot and cut to give a quick-fire review of interesting whiskies from the Whisky Jar in Manchester. In his review, though, he mentions that the price tag of £250 is fair in the current market. Now, that may be true in the current market but is the current market fair? I also watch all Ralfy’s videos on his channel I remember a few comments from him that official bottlings over 21 years of age get silly expensive very quickly. So with my interest peeked last night I did some research. So the results do indeed show that there is an exponential trend from above 20 years old where the price of scotch single malts rocket. It is interesting to see that the breadth of prices of the same age statement starts to stretch out as well. The grouping of prices at the more affordable end where the market is more competitive is much tighter. As far is Phil’s comment about the price being fair it looks like this is true. In my sample the price range for a 25 year old stetches between £145 and £435 so at £250 it is not as bad as perhaps it could be. The Highland Park 25 is the malt which is pushing that top price if you are wondering as well. So, case closed then but what if we take things a little further and break the data out into regions. Below are the five graphs which all have exponential trend curves added to them as well. The graphs are pretty interesting in that they mirror the history of the industry and the quirks of the product. 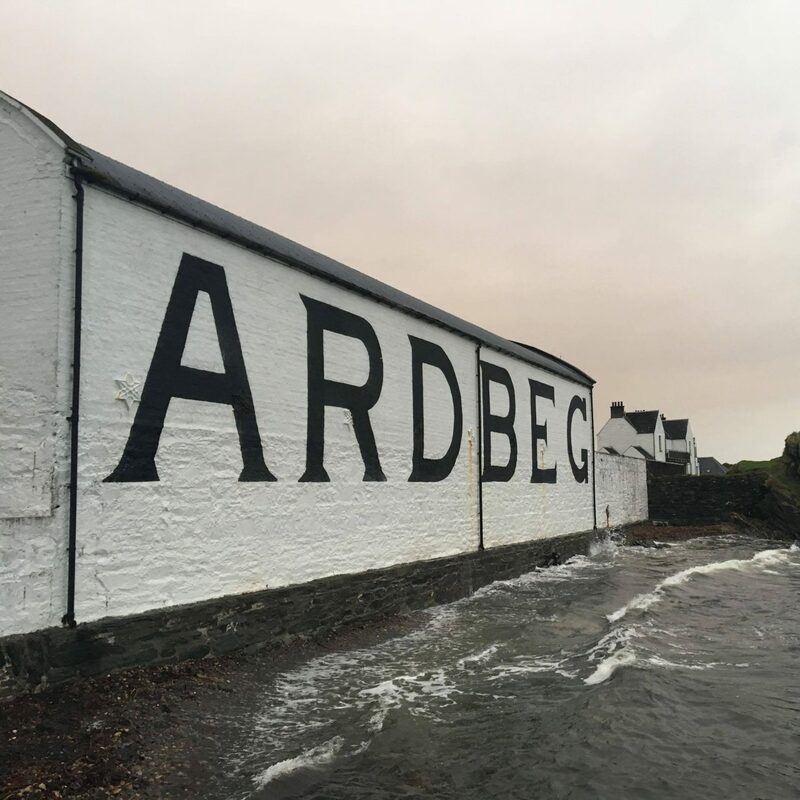 For example the large gap of Islay whiskies between 18 and 25 year old reflecting the lack of need for peated whiskies in blends in the early 90’s combined with the strength of interest in young firey peated whiskies from the same region. With exponential price increases are we seeing exponential quality or experience increases? I would say not from the few older ones I have tried. It is important to note that the secondary whisky market (selling second hand) is supporting even higher prices than the RRP so some people out there are willing to pay the price to have these bottles. What they do with them of course is a mixture of things but as we head to price tagsof 4 or 5 figures with special releases it becomes more likely these old and rare whiskies become nothing more than ornaments on a shelf to show you can afford such luxeries or for the kudos of completing a collection. That is a shame in one aspect but if the whisky is not massively different to what mere mortals can access then perhaps its for the best. It is that behaviour which is driving the prices though in very simple supply and demand economics and until that changes older whiskies will stay out of the drinkers hands for some time yet.